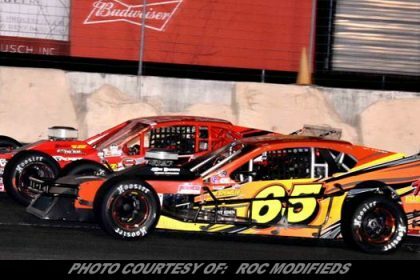 Story By: KYLE SOUZA / NASCAR – OSWEGO, NY – Ten years later, Matt Hirschman can still get the job done. 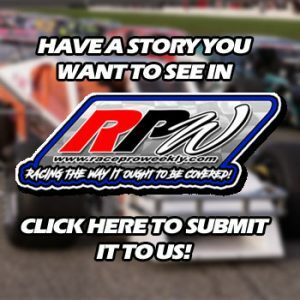 The Northampton, Pennsylvania, driver rolled into NASCAR Whelen Modified Tour Victory Lane for the first time since October of 2008 on Saturday night at Oswego Speedway. Hirschman took the lead from Justin Bonsignore on lap 120 and survived three attempts at NASCAR overtime in order to seal his third career Whelen Modified Tour victory. 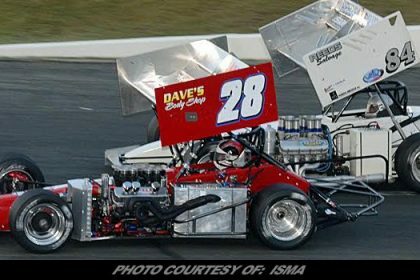 The win was his first at the 0.625-mile New York oval and first driving for PeeDee Motorsports. 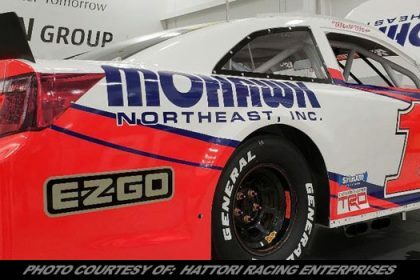 Hirschman started from the pole position after scoring the top spot for the second straight season in group qualifying and paced the first 94 laps of the race with rising star Chase Dowling on his tail. When the caution flew on lap 92, Hirschman led the lead lap cars down pit road and took fresh Hoosier rubber, but got stuck behind another car leaving the pit area and lost several positions. Dowling and Bonsignore were among those to beat him back on the track. 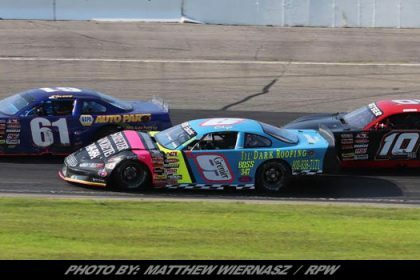 The charge back through the field began immediately, and subsequently ended with Hirschman passing for the top spot with just 30 laps to go in the scheduled distance. 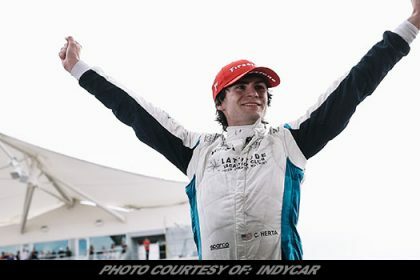 He had to survive multiple cautions, and three green-white-checkered finishes before he could celebrate. He led a race-high 139 laps. Bonsignore, who lined up to the outside of Hirschman for each of the three NASCAR overtime restarts, crossed the line 0.588-seconds back. 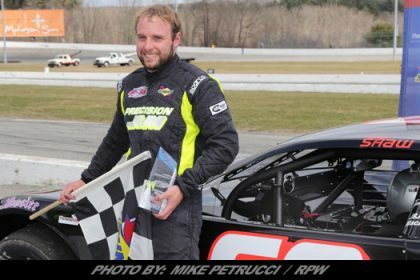 Even though the Holtsville, New York, native wanted to win his third straight Whelen Modified Tour race, the points leader was able to survive an array of late cautions to score another podium finish for Kenneth Massa Motorsports. 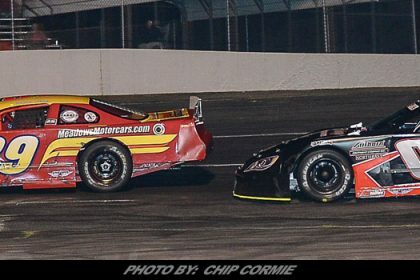 Five-time and defending series champion Doug Coby finished third, while Woody Pitkat, who led 13 laps, finished fourth. Eric Goodale rounded out the top five. Matt Swanson was sixth, followed by Patrick Emerling, Timmy Solomito, Blake Barney and Tommy Catalano. 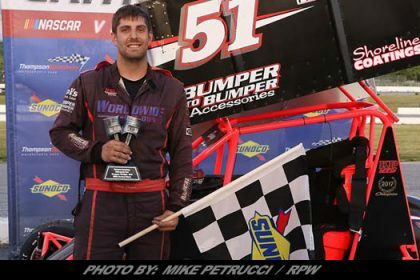 Bonsignore extended his points lead to 75 points over Chase Dowling, while Timmy Solomito is third, 103 points back with four races remaining on the championship points schedule. The Toyota Mod Classic 150 presented by McDonald’s will air on NBCSN on Thursday, September 6, at 6 p.m. 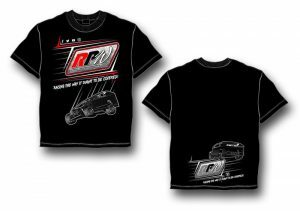 The NASCAR Whelen Modified Tour will move across New York to Riverhead Raceway for the next event on the schedule on Saturday, September 8.